The Leader is your most valuable subordinate. They fight Aggressors and Ultra Aggressors, lead military troops, increasing their offensive and defensive capabilities and effectiveness in combat. The Leader's knowledge and Skills also help improve the economic characteristics of your Base. 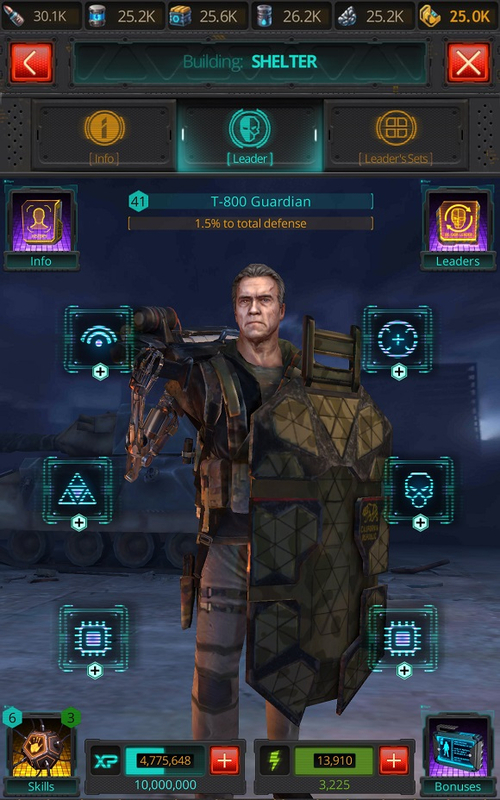 Unique Leaders are available to Commanders from both factions. Each Leader has their own distinctive backstory and bonuses that bring you valuable benefits. 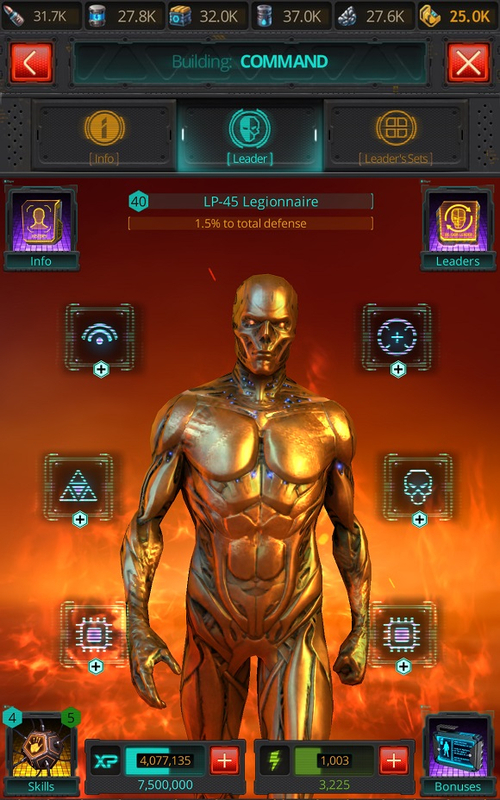 You can view more detailed information about your Leader in the Shelter or Command (depending on your faction). There you also can change your Leader by using the Change Leader item. You can also view your Leader's bonuses and Skills under the same tab. 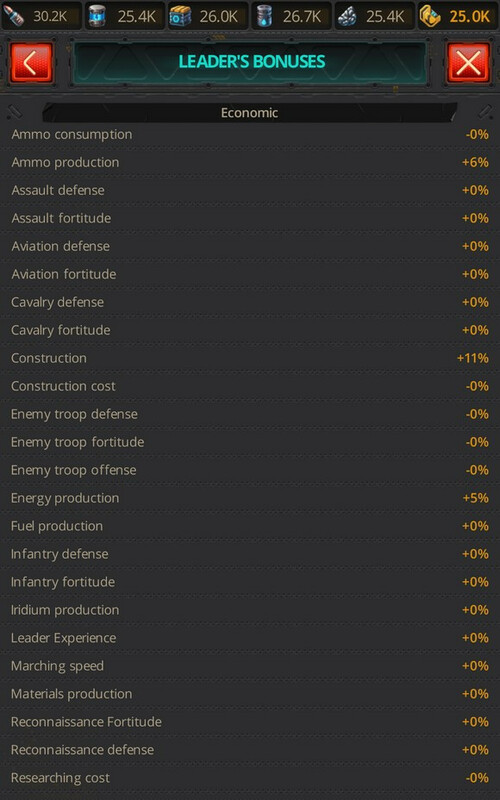 Bonuses give information about the Base and troop characteristics affected by that Leader. 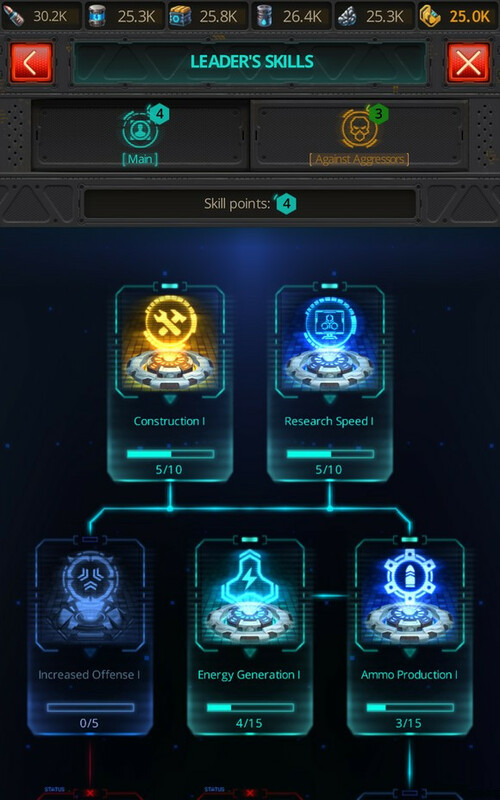 The Skills icon will send you to the Skills selection menu.